Summer is the time for kids to enjoy a variety of activities including art camp. 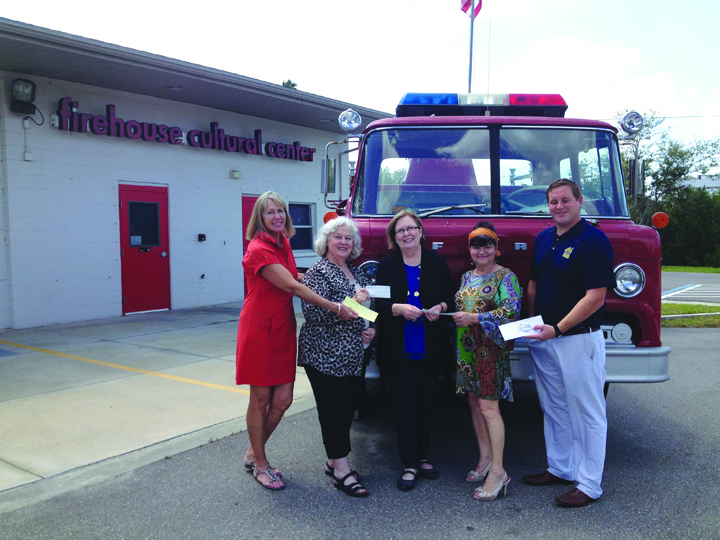 This year, thanks to some generous SouthShore residents, several children will be able to enjoy at least one week of summer youth art camp at the Firehouse Cultural Center in Ruskin. McKee then contacted friends and acquaintances to see if they would be willing to join in her efforts. In March, a group including McKee, SouthShore Arts Council President, Vicki Knauff, Doti Devane, owner of Arrianna’s and The Vibe, and Rob Kennehan, owner of House Beautiful Tampa presented, Vahue with checks which will allow four area children to attend one week of camp. The Firehouse has a great lineup of summer camps this year. The summer youth art camp is designed for children ages 8 to 14. The camps run during the months of July and August. Camp is from 9 a.m.-3 p.m. including snack time and lunch break. The cost for one week is $140 and discounts are available for multiple weeks and members of the Firehouse. Meals and transportation are not provided. For more information, visit firehousecultural center.org or call 645-7651.